Our customers have come up with extremely creative wedding sparklers ideas, which shows how practical wedding sparklers can be as an investment for your big day. Below we’ll provide just a handful of ways people use sparklers for a wedding and some ideas for getting the most out of your sparklers. 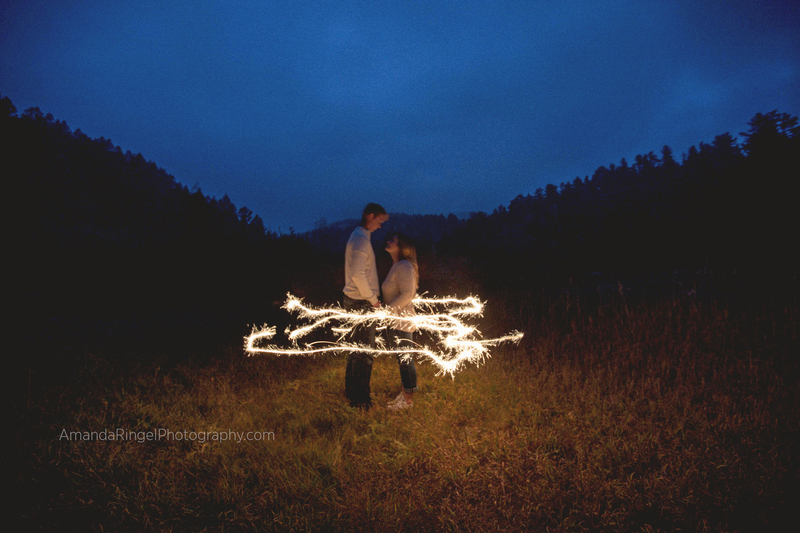 Wedding sparkler photography is incredibly popular right now, and you can achieve amazing results with simple point and shoot camera and a handful of sparklers. After some manual adjustments to your camera, you can create beautiful shapes with your wedding sparklers and even draw out text. The possibilities are endless, and it’s a creative use of wedding sparklers that your guests will remember. Stay tuned to our blog for upcoming articles on how to create the perfect wedding sparklers photos. Organize a magnificent sparkler send off for a brilliant wedding exit. For large parties, consider our 20 inch sparklers or 36 inch sparklers which burn longer so the bride and groom has ample time to exit during the send off. Tip: Prepare your guests beforehand with a quick overview of how to use their wedding sparklers and when to ignite them for a send off without a hitch! Take a look at our Wedding Sparklers Safety Guide for safety precautions and guidelines. Another great wedding sparkler idea is to use your sparklers during the ceremony. Whether your guests are standing or seating, you can organize your guests to light sparklers at any point during the ceremony, but most couples choose to have their guests light them during the kiss as an added touch. Party favors make excellent additions to your reception tables, and many of our customers use display buckets for their sparklers, often tying sweet messages or quotations to the sparklers themselves. They can also be used for seating by attached seating cards to each sparkler with the respective guest’s name. The first dance is supposed to be romantic and memorable, so consider adding wedding sparklers to your first dance to enhance the atmosphere even further. The light from the sparklers will bathe the bride and groom in golden rays of light, perfect for late night wedding receptions. For more tips and wedding sparklers ideas, stay tuned to our blog!